from autumn to winter and becomes delicious. Filet a mackerel,eats putting the taste with the salt and vinegar. The woman who filet the fish well is wonderful. 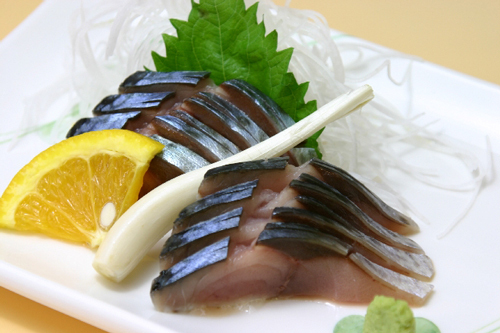 There is a part a little different from usual Sashimi for season a fish. Ginger and the horseradish are affixed to the seasoning, and it eats with the soy sauce and the ponzu sauce. Sure, guys longing for their inner Borat (6foot3), Lurch (6foot9) and Chewbacca (7foot3) want a more altitudinous silhouette: no more neck craning while chatting, no standing on tippy toes to reach, no sitting on legs to see a movie.. Crisscross up the rest of the way and tie them up normally at the top.. Thank you for your Reservation Request! Please fill in the following form and the confirmation will be e-mailed to you.